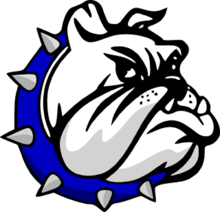 LOUDONVILLE — The regular season ended on Friday, February 23 for the Crestline Bulldogs boys basketball team. The conclusion of their 2017-2018 campaign wrapped with a trip to Loudonville and a bout with Mid-Buckeye Conference foe Redbirds. In their contest, the two teams would continually jostle back and forth, looking to end their season on a high note. After the first eight minutes of play, the visiting Bulldogs would hold a slim, four-point lead; 16-12. Loudonville would bounce back in the second quarter, putting up 18 points while holding Crestline to 13 to take a 30-29 advantage into intermission. Crestline would regroup, looking to keep their winning streak alive, and outscore their hosts 17-11 in the third to head into the final quarter up 46-41. The ‘Dogs would keep the ‘Birds offense at bay in the final eight minutes of the regular season en route to the eight-point victory; 61-53. With the win, Crestline extended their regular-season ending winning streak to five games to finish the season at 11-11 overall and 4-6 in the conference. Their 11 wins is the most for the team in the past 11 seasons. Davon Triplett continued his hot streak as well for the visitors, recording another double-double for the Bulldogs by scoring 14 points and grabbing 12 rebounds. Triplett also had three assists, five blocked shots and two steals in the win. Ty Clark and Zach Gregory would also contribute double figures in the scorebook, dropping in 12 and 11 points, respectively. For the Redbirds, Garrett Fry put up 22 points to lead the home team while Logan Fisher added 16 in the defeat. Other stats for Crestline on Friday were: Team- 17/33 from the interior, 4/13 from the perimeter, 15/20 at the free-throw line, 39 total rebounds (12O, 27D), 12 assists, 6 blocks, 6 steals and 17 team turnovers; Clark- 8 rebounds, 1 block; Gregory- 7 rebounds, 2 assists, 1 steal; Max Anatra- 8 points, 3 rebounds, 5 assists, 1 steal; Kaden Ronk- 6 points; Kevin Winkler- 3 points, 1 rebound, 2 assists, 1 steal; Gavin Balliett- 3 points, 2 rebounds, 1 steal; AJ Watkins- 3 points, 2 rebounds; Caleb Hoskins- 1 point, 1 rebound and Destin Chatman- 1 rebound. Loudonville shot 12/26 from inside, 6/26 from deep, 11/16 at the stripe, posted 28 total rebounds (11O, 17D), had 10 assists, seven steals, one blocked shot and committed 12 turnovers in the loss. Crestline will open postseason play as the No. 9 seed in the Division IV, Willard District tournament with a sectional semifinals contest on Tuesday, February 27 at 8 p.m. against the No. 6 seed St. Paul Flyers (Norwalk) to be held at Galion High School. The winner of that contest will play for a sectional title on Friday, March 2 at 8 p.m. against the No. 4 seed South Central Trojans, also at Galion High School.